Atlanta Real Estate Forum is excited to announce the April Radio lineup of guests! Committed to providing listeners with the latest news and information regarding Atlanta real estate, events, attractions and things to do around the city, this month’s shows offer something for everyone with both rookie and return guests. April 11 – With Earth Day right around the corner, Wylde Center is working overtime to provide opportunities for individuals to experience nature in an urban environment like metro Atlanta. Tune into the show and listen as Executive Director Stephanie Van Parys provides details of upcoming events and programs. April 18 – AARP helps people ages 50 and older live their best lives. Melissa Sinden, Advocacy Manager at AARP Georgia talks about serving the state’s nearly 1 million members and their various advocacy efforts. April 25 – Calling all fans of anime, gaming, comics, animation and more, Momocon is coming to town! With more than 35,400 unique and over 100,800 turnstile attendance in 2018, MomoCon is one of the fastest growing all ages conventions in the country. Get more details by tuning into the show! 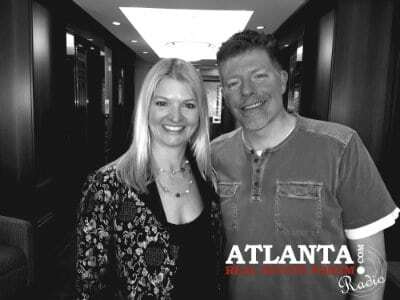 April 4 – Darion Dunn, Managing Partner of Atlantica Properties joins the show to discuss OWN DeKalb, a unique program designed to help those currently renting to become homeowners, and also enlightens listeners on the work that Buckhead CID is focusing on. April 5 – How can the captivating paintings of Thomas Kinkade inspire home builders? Joe Hafif, Co-Owner of Brockton Construction explains to listeners the unique charm and character that Brockton Homes uses to revive Old-World craftsmanship and style. April 12 –From Athens to Atlanta, Luis Imery, CEO Imery Group is building one-of-a-kind, high-performance construction homes all within your budget! Learn more about his projects with EarthCraft when you tune into the show. April 19 – From creating master planned developments to high rises that transform city skylines, Kaplan Residential has built a legacy of impressive breadth, complexity and height in Atlanta. Nate Kaplan, Partner at Kaplan Residential joins the show to discuss upcoming projects. April 26 – The Barsky Group and CityScape announce partnership for the new Preston Hills neighborhood and our listeners will receive inside details about the appealing and affordable opportunities to live in Atlanta’s growing intown market.